We live in a culture where many identify as “Christian” without fully embracing what it looks like to follow Jesus day-in and day-out. After gathering for worship, do we simply go about our business, void of true transformation? 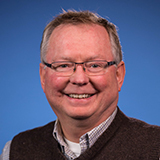 Is the gospel simply a self-help tool; the church just a place where our needs can be met? Are we really following Jesus? 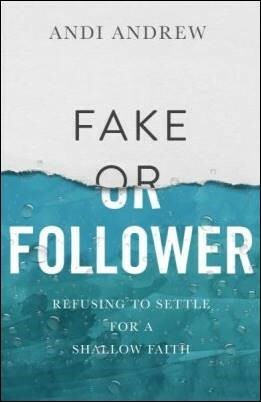 Bible Gateway interviewed Andi Andrew (@andiandrew) about her book, Fake or Follower: Refusing to Settle for a Shallow Faith (Baker Books, 2018). What’s the difference between truly following Jesus and “faking it”? Andi Andrew: We fake it when we settle for a shallow faith, manifest in hollow religion, mediocrity obligation, and checking the box of Sunday attendance rather than living a life of surrender, no matter how uncomfortable it gets. In our padded, materialistic, overstimulated Western society, Christianity has become more of a “rote religion”—a list of things you should and shouldn’t do, devoid of a relationship with the One who loves you the most—than a passionate relationship with the living God manifest by internal and cultural transformation. I believe there’s a generation alive today shaken with a holy discomfort of simply going through the motions. In response, they’re crying out to know what following in the ways of Jesus really means for our everyday lives. I believe many are willing to fit the bill; we need not dumb down the price tag. Jesus came for a revolution inside our hearts that would transform our entire lives and, in turn, society. The more we know him, the more we discover our true identity and our destiny here on earth; the two go hand-in-hand. Following Jesus is about the pursuit of his heart and a deeper understanding of the gospel and how the Good News is worked out in our lives and the lives of those around us. Why is it vital for a Jesus follower to be a part of a community of believers? Andi Andrew: An African proverb says, “If you want to go fast, go alone. If you want to go far, go together.” In our isolation, we may be able to move a little faster, unencumbered by others’ thoughts, ways, or tendencies. But there’s something about being on a mission with a group of diverse people that changes not only us for the good but also, I believe, the world for the good. The vast church communities sprinkled across the earth are laden with the absolute power and potential to change the world for the good one person at a time, as we choose to commit to being on assignment together—one body, many different parts. Sometimes we see community from an individualistic standpoint, valuing relationships for what they can “do for me” or how they can “meet my needs.” If we remain there, we’ll become leeches instead of life givers. And if we’re following Jesus as the way, truth, and life in all we do, then we can’t afford to stay there. When we shift from individualism to contribution, community becomes a place of transformation for everyone present. In turn, culture and society as a whole benefit from a company of unselfish believers, who are being changed from the inside out. We can shift culture, releasing the kingdom of heaven here on earth, but only when it’s been done within us can it be seen around us. We will be reflectors of his image. Being around others has a way of sanctifying us; making us more like Christ. The Gospel-Centered Community puts it this way: “The agent of sanctification is the Holy Spirit. The tool of sanctification is the truth of the gospel. And the context of sanctification is community.” Sometimes we need to sit across the table from someone with a different point of view in order to be sharpened, tested, and refined. Our differences don’t have to divide us; they can refine us. The context of our sanctification in which we’re renewed and made holy is community. It’s hard to put “love one another” to the test without being around others who sometimes drive us mad, in turn providing us with ample opportunities to see how love really works. My husband and children sanctify me every single day. My church community sanctifies me in every season. Rubbing shoulders with other imperfect people on the journey will cause us to face ourselves as we come face-to-face with them. In what ways do Christians misplace their worship? Andi Andrew: Years ago my husband gave a leadership message about sacred cows. He reflected on the story of Moses going up Mount Sinai and etching out the first draft of the Ten Commandments only to come down and see that his brother, Aaron the priest, and the people of Israel had gotten tired of waiting for him to come back. Because they didn’t know what had happened to Moses, they had the brilliant idea of making “gods who will go before us” (Exodus 32:1). Have you ever noticed that impatience often causes us to create man-made idols? We worship our own dreams, plans, and time lines instead of being still and trusting that God is God, even in silent seasons. The people of Israel gathered their jewelry together and made a “sacred” cow to worship. Aaron said, “These are your gods, Israel, who brought you up out of Egypt” (Exodus 32:4). Think about it. They were literally delivered from slavery through some of the greatest signs, wonders, and miracles, which they saw with their own eyes, and yet they chose to worship a man-made golden calf. Sounds ridiculous, but we, too, do it all the time. We turn to things that we elevate above our relationship with or trust in God. Moses came down from the mountain with two tablets of stone in hand etched with the covenant of the law and was furious with what he saw: a people worshiping a golden calf when they were invited to worship the living God! The first draft of the Ten Commandments hit the ground in a heart-stopping fury, shattering into pieces, giving us a picture of how following the ways of God comes crashing to a halt when we’re consumed with idol worship. Moses ground that golden cow into fine dust, dumped it in the water, and made them drink their own idolatry. Intense, but that’s how the story goes and how we can choose to spiritually live—drinking in idolatry rather than the goodness and kindness of a loving God. Are we more in love with our ideas, ideals, preferences, passions, pet projects, traditions, and ways of the past than we are with what God is doing right here and now in front of our eyes? Do we worship culture and self over God, his ways, and the laying down of our lives? When it comes to idol worship in our own lives, some of us need to go cow tipping. What role should the Bible have in a Jesus follower’s life? Andi Andrew: The Bible is integral to a Jesus follower’s life. Without it, we begin to elevate our own opinions over truth. We live in a time where people are encouraged to “speak their truth”, but Jesus IS truth and he’s the word that was made flesh. We cannot have our own truth if that place is already taken. And we must be careful to not pick and choose parts of the Bible to suit our own needs and desires, but read it and receive it in it’s fullness while letting it transform us from the inside out. How does a person exhibit “God-conscious living”? Andi Andrew: “Identity is the key to our destiny.” These wise words were spoken by Avi Tekle, a Jewish believer who’s become a friend to Paul and me, and I couldn’t agree more. Ephesians 2:10 says, “We have become his poetry, a re-created people that will fulfill the destiny he has given each of us, for we are joined to Jesus, the Anointed One” (TPT). When we’re born again—re-created, if you will—our true identity and destiny are born into our consciousness and become clearer each day because our lives are forever joined to Jesus. We become God-conscious instead of self-conscious. When we don’t know our true identity, we vie for our place in life rather than rest in the understanding that we’re created by a God of love for his love. Understanding that our identity is formed in the very image of God causes us to walk in purpose and destiny without comparison, striving, shame, or envy. The devil doesn’t come after our gifts, talents, or possessions; he comes after our hearts. His goal is to get our focus on external things and take our eyes off what truly matters, shifting our attention elsewhere so he can slowly dismantle the strength of our identity in Christ. The enemy’s target is our identity; if he can deconstruct, confuse, and destroy it, we’ll lack direction and the understanding of our inherent purpose on earth. Andi Andrew: Psalm 91. It saved my life in a very dark season. I saw the goodness of God and his promise to us if we decidedly ran to him as our shelter instead of man-made shelters and detrimental addictive behaviors that bring destruction. Andi Andrew: I am forever grateful for Bible Gateway. I use it nearly every single day, whether that’s for message preparation, writing, or searching for a Scripture to share with someone. Bio: Andi Andrew is the author of Fake or Follower: Refusing to Settle for a Shallow Faith and She Is Free: Learning the Truth about the Lies that Hold You Captive, as well as cofounder and copastor with her husband, Paul, of Liberty Church, with five locations in New York City, as well as locations in Manzini, Swaziland; San Francisco, California; and St. Petersburg, Florida. In 2015 she launched the She Is Free Conference in order to equip and activate women to walk in freedom, spirit, soul, and body, and see others set free in their sphere of influence. 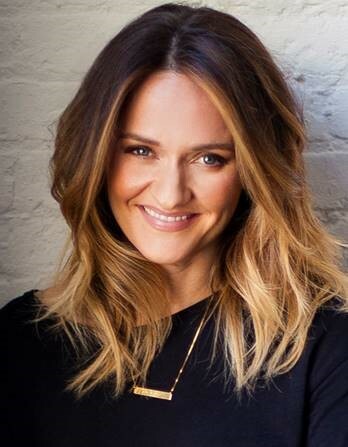 A frequent speaker all over the world, she lives in Brooklyn with her husband, Paul, and their four children. Learn more about following Jesus when you become a member of Bible Gateway Plus. Try it right now!